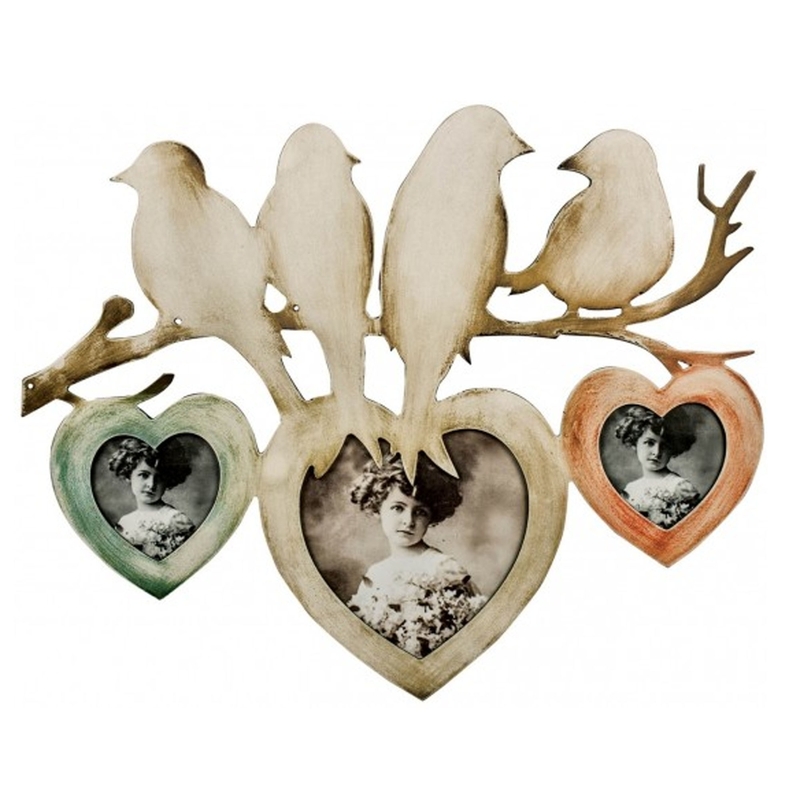 This is a beautiful photo frame with 3 heart shaped photo slots. These photo frames are hanging from a branch, the branch has 4 silhouettes of birds. It's a beautiful photo frame that is sure to stand out and impress anyone who see's it. This photo frame also has some gorgeous distressed colours, making it feel more homely.